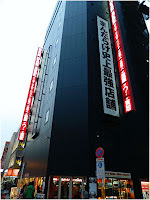 For lack of any other concrete plans, I managed to convince my wife, her sister and cousin to go to Akihabara. 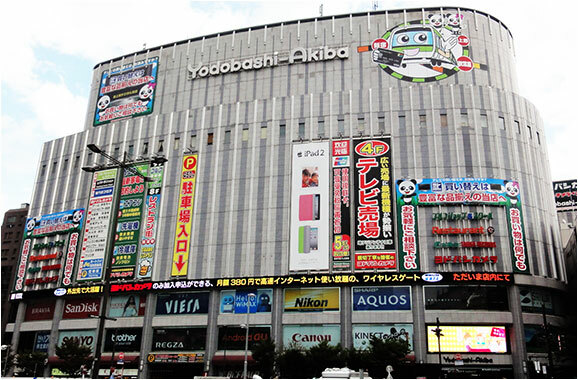 Right outside of the Akihabara station is Yodobashi Akiba. 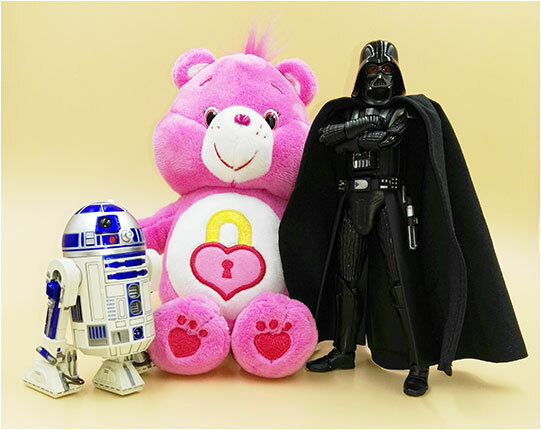 This is a super mega amazing multi level store that has pretty much every electronic item and appliance you will ever need….and of course toys. Oh and a word of warning, the store actually has a theme song that they play over and over on their system that will stay in your brain...forever. Anyway last year I actually got my best deals here so this was gonna be my starting point for my hunt. But that first visit was merely a scouting mission. Like I said, I had a plan. So I identified potential purchase targets, took note of their prices so I could compare them to prices in other places I would go to later on the trip. Upon entering the toy section, almost immediately something caught my eye, something I was not expecting to see…..a Star Wars Movie Realization Sohei Darth Maul. Now this is one figure that I was really looking forward to getting but I had no idea he had already been released here in Japan….talk about perfect timing! And standing behind him was an equally enticing Ronin Jango Fett. 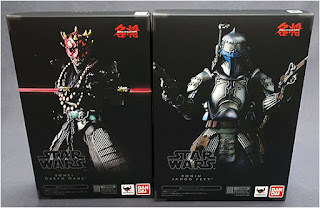 I KNEW that I had to get these guys but I chose to be patient...and see if I could find them at cheaper prices elsewhere. My next stop in Akihabara was the Mandarake Complex there which is a short walk from Yodobashi. So I split off from our little travel group with the intention of catching up with them in Shibuya later that day. 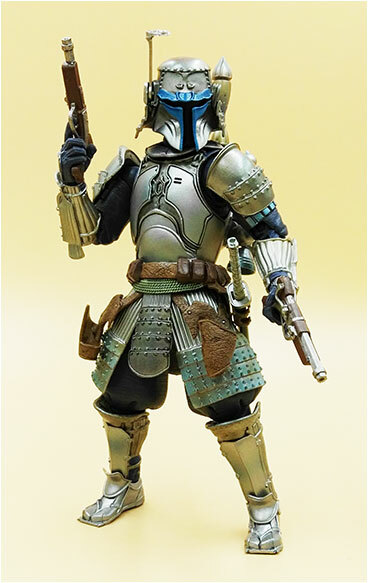 The only interesting item I found there was a really cheap SH Figuarts Jango Fett. 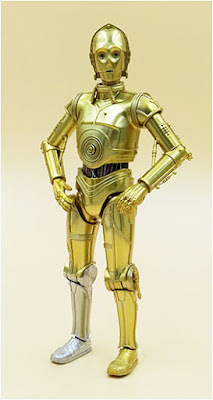 While he wasn’t in my original “to get” list...he was SUPER cheap...like “cheaper than a Hasbro Black Series figure” cheap...so I was tempted but ultimately passed on him...I really had no intention of getting anything on Day 1. 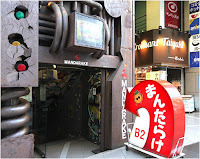 I eventually caught up with my wife & co in Shibuya where they were shopping at Tokyu Hands (one of my wife's favorite stores)...which was conveniently located practically next door to another Mandarake branch! 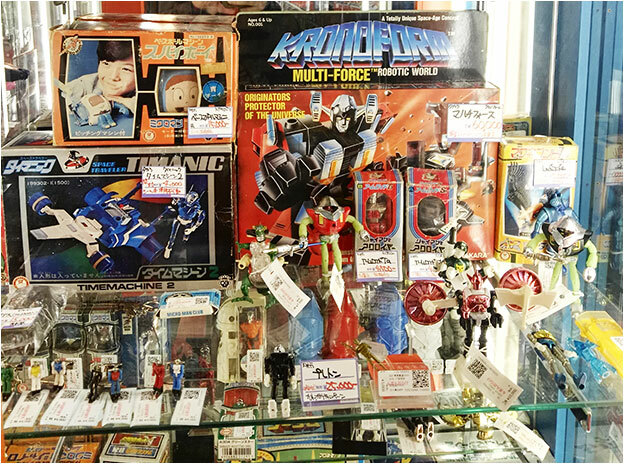 Now the thing with Mandarake is that they sell a lot of second hand stuff, so you don’t know what you’re gonna find. And a lot of the stocks vary from store to store. So it would be worth your time checking out each store. 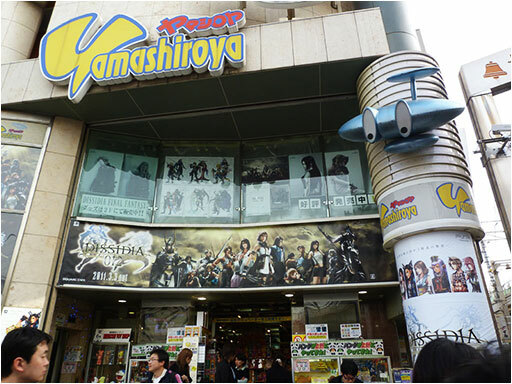 Last year I got quite a lot of stuff from the Mandarake here in Shibuya so I was quite excited to return….unfortunately, the toy section seemed to have grown smaller from the last time I was there and I didn’t really find anything worth getting. Nakano Broadway is probably the best known destination for toys in Tokyo. It’s four pretty vast floors of toys and other pop culture stuff. It’s easy to get lost and overwhelmed. Last year I had to go 3 different days just to get a proper scope of everything there. This time around, I pretty much knew exactly which stores to go to so I knew I wouldn’t have to go as many times. My wife decided to go with me as she had never been there before. 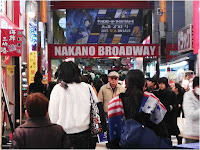 Unfortunately, this time around I would have to say Nakano Broadway was a bust. The stores I was hoping to find stuff in had nothing I really wanted so I left empty handed. At least I got to spend time with my wife and she got to see something new. The next morning I had some free time before lunch so I set off to officially start buying some toys. Having seen all I needed to see in Nakano, I figured I’d just go back to Akihabara and explore a little more. Before Akihabara though I decided to get off at the Ueno station which was just a couple stops away. Now Ueno has one notable store located conveniently across from the train station that is definitely worth checking out called Yamashiroya. It’s a 5 or 6 storey building with a lot of the more current toys. Although i didn’t find any items on my wishlist, I did end up making my first purchases here. I got an SH Figuarts R2-D2 and a Mafex Rogue One Darth Vader (he just looked sooooooo good) to upgrade the ones currently in my collection. Both of these weren’t available in Yodobashi so I figured what the hell? Oh and I also found a Care Bear for my daughter. With my first purchases in hand, I headed back to Akihabara. 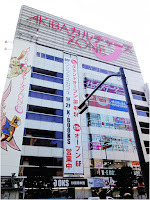 Now Akihabara is quite a big place and as huge as Yodobashi Akiba is, it really is just the tip of the iceberg when it comes to toy shopping destinations in the area. First on my list was Akiba Zone. This was one of the last places I checked out in my last trip so I didn’t really have time to really explore. 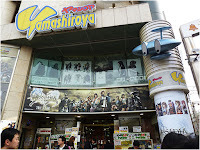 It’s a multi level store with a pretty good second hand toy section (that I missed last time) on the ground floor and quite a lot of stores and display cabinets on the 3rd & 4th floors. It was here that I found a Takara version Blurr but it was way too expensive for my taste (¥7,000!) so sadly I passed. Even if I didn’t end up getting anything there I still think it’s worth checking out if only for the ground floor stuff. 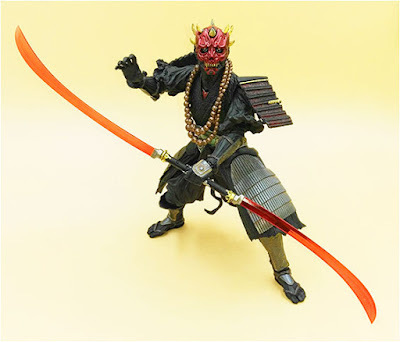 Oh and on my way there I came across a Bic Camera store (another popular electronics store chain)...checked out their toy section and found myself a Movie Realization Darth Maul and SH Figuarts C3-PO selling at a better price than the ones I spotted in Yodobashi so they were immediately purchased. And with that I returned to Yodobashi to cap the day off by purchasing my Ronin Jango Fett which apparently was sold out in all the other stores I went to that day. Finally here’s a tip, when shopping always bring your passport. 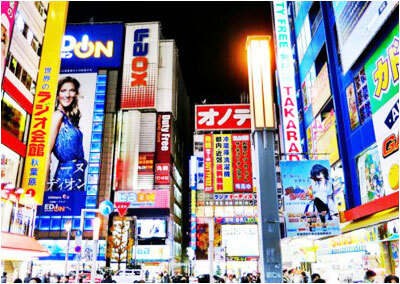 Most big retail stores such as Yodobashi, Bic Camera as well as Mandarake offer an 8% tax refund to foreigners (just show your passport) for purchases above ¥5,400 (last year it was just ¥5000). 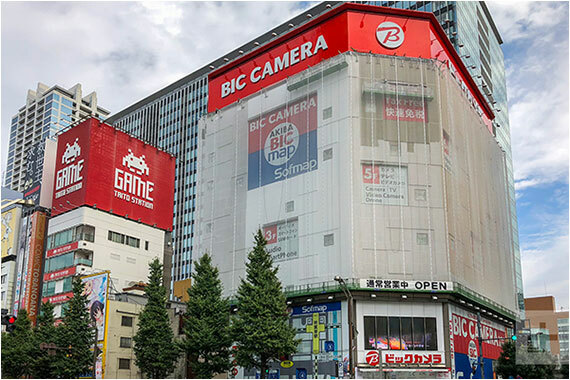 And as an added bonus, Yodobashi and Bic Camera gave an additional 5% discount on top of the tax refund if you use a VISA credit card. Not bad! So in my first three days, I had managed to cover all my main toy destinations…..but with five more full days to go in Tokyo, I knew my toy hunt was far from over.